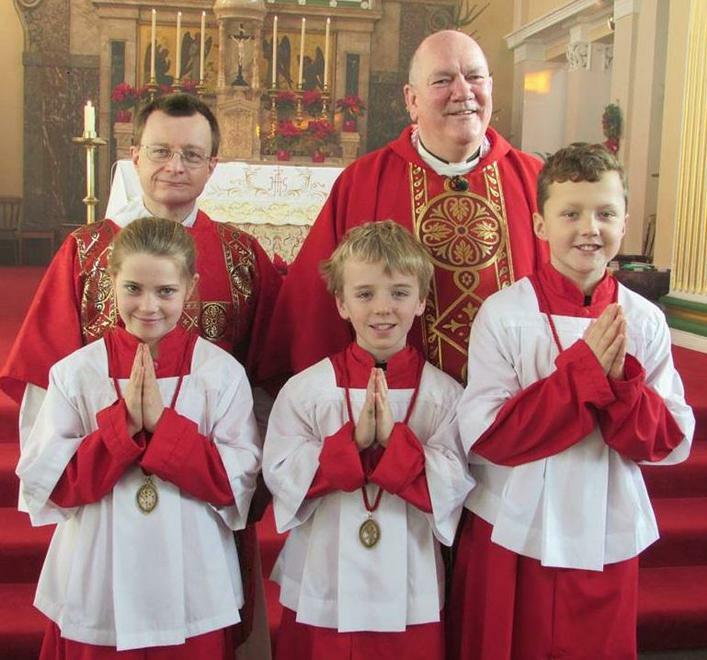 Children are welcome to train as altar servers after they have made their First Holy Communion. Deacon Paul instructs the children both at school and at church, showing them the different jobs involved in this role. 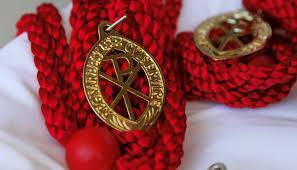 The Guild of St Stephen is awarded to altar servers on Boxing Day, the Feast of St Stephen. Congratulations to our new recruits! The name Stephen means, "crown", and St Stephen was the first disciple of Jesus to receive the martyr's crown. Stephen was a deacon in the early Christian Church. The Apostles had found that they needed helpers to look after the care of the widows and the poor. 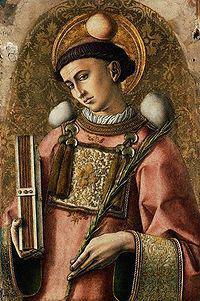 So they ordained seven deacons, and Stephen is the most famous of these. To provide altar servers with a greater understanding of what they are doing so that they may serve with increasing reverence and prayerfulness, and thereby be led to a deepening response to their vocation in life.